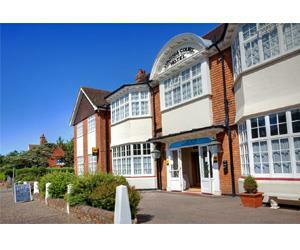 Virginia Court Hotel01263 512398work Group AccommodationThis relaxing 3* Silver hotel features 25 contemporary bedrooms and an award winning restaurant minutes from the centre and beaches of Cromer. A perfect base for exploring North Norfolk and the Broads or overnight visits including Thursford Christmas Show and Seaside Special shows on the pier. Group sizes - min 10, max 47, 3 singles, 22 twins/double, open all year, coach parking on site, evening meals for groups - 60 covers, special diets available, conference facilities, driver/organiser incentives. This relaxing 3* Silver hotel features 25 contemporary bedrooms and an award winning restaurant minutes from the centre and beaches of Cromer. A perfect base for exploring North Norfolk and the Broads or overnight visits including Thursford Christmas Show and Seaside Special shows on the pier.